Member states of the E.U have common polices across a range of issues. For example, taxation and security; free movement of goods, a common agricultural and fisheries policy, free movement of persons, services and capital, and freedom of security. But where does education stand in the freedom mix? The EU attempts to encourage member states to be co-operative on educational matters but gives responsibility to each country in developing their individual teaching content and educational systems. With regard to this notion of freedom, our sister state of Finland hosts a cohort of professional teachers – a respected profession in their country. In Finland teachers are not underpaid. They have the opportunity to shape their curriculum based on what they estimate to be the best educational research. They emphasise play, focus less on competitive learning at a young age and disregard homework in many instances. Further down the line, older children can enter third level education free of charge. In general it seems that teachers in Finland (and their children) have a huge degree of free will and liberty and the results speak for themselves. 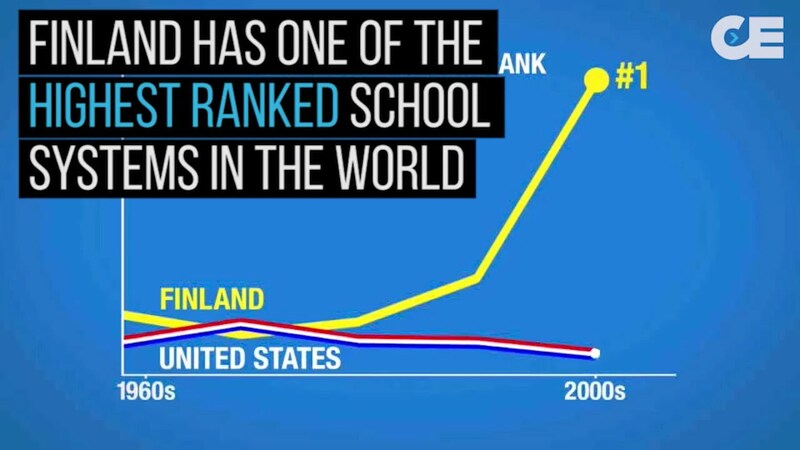 Quite often, Finland tops the rankings of educational systems internationally. The Irish Primary Education system is based on curriculum reform from 1999. The 1999 curriculum concentrates on developing children’s language, mathematics, social, environmental and scientific education (SESE), social, personal and health education (SPHE), arts education and physical education. The 1999 curriculum visualised that education in Ireland ought to take account of the uniqueness of a child, that children are part of a society (at home and with others in society) and that society influences the shaping of their development. With young teachers being paid much less than the majority of other professions, schools still having minimal (if at all) information technology equipment and all teachers (bound by a pre-Celtic Tiger curriculum) teaching children who are typically more technologically proficient that the children of that era, one really wonders about freedom in Ireland!